Eight equestrian athletes from the North have strung together a series of excellent performances in Calgary over the last three weeks. Competing in a three-event series known as the Rocky Mountain Classic, Yukon riders have already picked up seven top-three finishes with one more event to go. The Rocky Mountain Classic III begins today and runs until Sunday. Reached by the Star this morning, Yukon coach Inge Sumanik said the early results from her group have been excellent. The Rocky Mountain Classic series features some of the country’s top hunter and jumper riders with teams from all across western Canada competing. Athletes from B.C., Alberta, Saskatchewan and Manitoba are all vying for ribbons against the Yukon’s eight-man contingent. 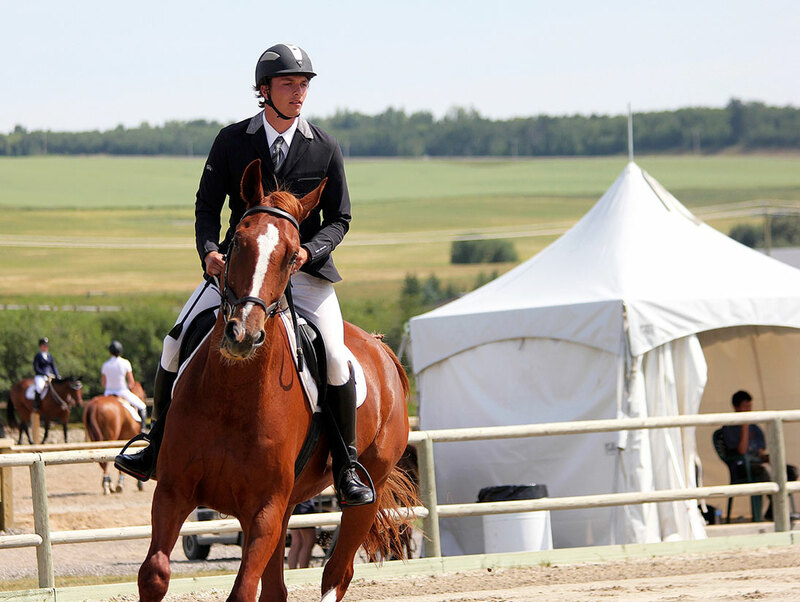 Over the past couple of weeks, the Yukon riders – representing the Northern Tempo Equestrian Centre – have competed in both the Rocky Mountain Classic I and II events, held Aug. 6 to 10 and Aug. 13 to 17, respectively. So far, results obtained by the Star indicate the top rides have come from Katrina Fekete and her horse Wilson (third in Schooling Hunter 2’3); Spencer Sumanik on Deno (first in HorseLife Jr/Am 0.75-m Jumper Medal); Sydney Johnson aboard Frank (second in Schooling Hunter 2’3); Ashley Borgel and Moonlight’s Montage (thirds in both Training Hunter 2’9, and Low Hunter 3’0); Jetta Bilksy and Bobby McGee (second in $500 Jump Alberta Mini Prix 0.75-m); and Katelyn Holway aboard Absolute Perfection (third in $200 Jr/Am Jumper .90-m Stake). Some of the wins even came with small monetary payouts, said Sumanik. 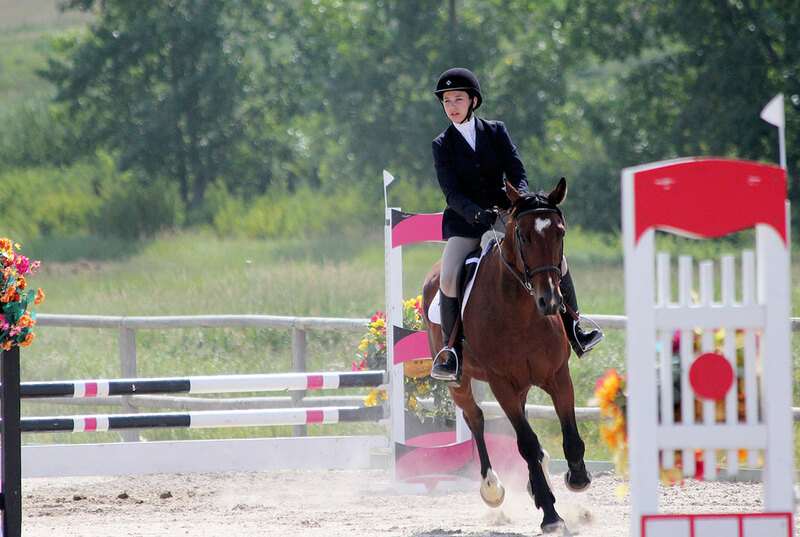 Other local riders competing include Maren Sinclair-Eckert and Terri Inglis. The riders compete year-round at the indoor riding arena on the estate of the late Sharon Jensen, located north of Whitehorse. The group has spent the last three weeks camping in tents near the Calgary showgrounds. “It’s really shown a lot of determination,” said coach Sumanik. “We’ve experienced everything from 32 degrees – which is brutal for us Yukoners – to thunderstorms and lightning. The surge in confidence from all of the Yukon riders has been great to see, Sumanik said. A couple of young horses have also shown “really well” in their first taste of high-level competition. The Rocky Mountain Classic series is serving as the end-of-season competition for the Yukon riders. Most will return to school Monday.